Much like the rest of the midwest, the harsh Michigan winters call for proper home heating, and there are a number of different types of home heating for Michigan homeowners to choose from and each of them provides an array of advantages to your home and family. Of course, there are some things to consider when deciding which home heating system is right for you. At Applegate Home Comfort, we have been serving central Michigan with our HVAC services since 1952. 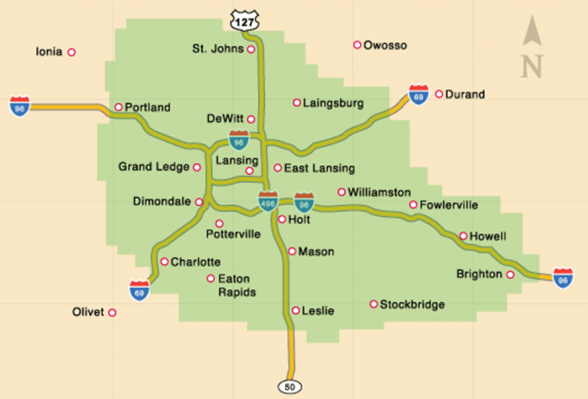 When it comes to home heating in Lansing, Michigan, you have options. Before you contact us for our high-quality HVAC services, let us fill you in on some of the most popular types of home heating systems and how to determine which is right for you. Electric Furnace: One of the most common types of home heating is the electric furnace. While this type of home heating is more expensive than natural gas or propane, electric furnaces are more consistent in their heating, which can be exceptionally beneficial in the winter months. Heat Pumps: Geothermal home heating systems are quite common in warmer regions, however, they are beginning to catch on in Michigan as well. Heat pumps transfer the heat from the ground to the home, and the cold air from the home back to the ground. This allows for a natural temperature setting that is easily adjustable. Hybrid Heating Systems: Hybrid heating systems are arguably the most efficient form of home heating. This system reacts to the changing temperature and automatically adjusts to the most energy efficient heating system to heat or cool a home. This can combine the best of geothermal heating and electric furnaces and may eliminate the need for an air conditioner in the summer months. When looking for a new home heating system, there are a number of things to consider when looking at your many options. While natural gas and propane furnaces are inexpensive, often times they do not provide the adequate heating needed. Insulating your home with Applegate’s cellulose insulation will surely help, but there are other options to consider. If you are looking for a home heating system to keep your home comfortable year round, a geothermal heat pump may best suit your needs. You can also utilize a hybrid heating system to help eliminate the need for an air conditioning unit by using the best of both electric furnaces and heat pumps. Regardless of your home heating needs, Applegate Home Comfort can help you determine the best system for your Lansing, Michigan home. You can contact us online or give us a call at 517.337.7700 to schedule maintenance on your furnace today!